Thunderstone delivers incredible power in a very compact form. Through a holistic design process, we’ve arrived at the most efficient driver, shape and overall proportions for a pristine and rich bass sound. The trilateral symmetry is a crucial part of Thunderstone design. The shape allows for three bass ports, and more importantly, for much longer resonant tubes. This means the subwoofer can produce much clearer and lower frequencies, all the way down to well-articulated 40 Hz. The two volume rings on top of the Thunderstone are magnetic Hall sensors. While the standard controls have a tendency to crackle and break, the Hall sensors are almost indestructible and will perform flawlessly for decades. The external ring adjusts the bass, the internal controls the volume of the entire system. For millennia thunder was the deepest sound that humans heard. A mysterious cosmic rumble. Mankind made the connection between the flash of light and the rumbling sound. The rest was gods and magic. Some thought that when lightning hit the ground it turned into stone. So throughout Africa, Europe and Asia prehistoric flint arrowheads and axes found in plowed fields were thought to have fallen from the sky. In England and Denmark, it was Sea Urchin fossils that became synonymous with the thunder legends. Anything unknown or understood was thought to be magical before The Enlightenment. People are still trying to understand. Striving to reproduce the deepest sound they ever experienced, to give the strange emotions that music brings clear and full forms. So are we. Thunderstone is part that process. Part magic. 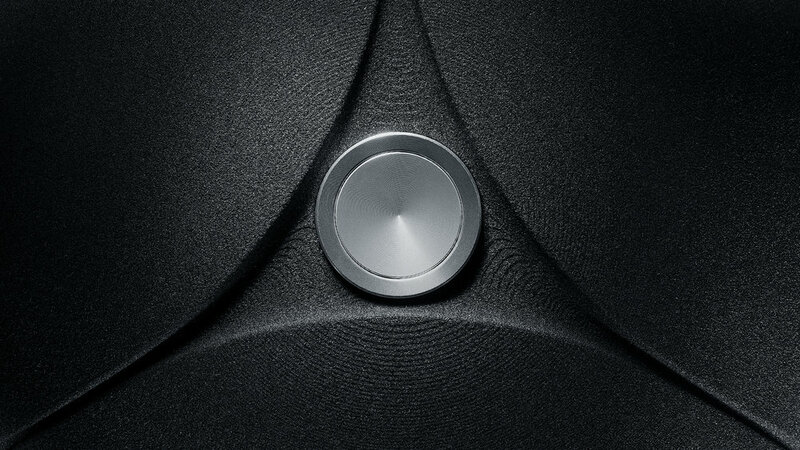 The back of the Thunderstone subwoofer is as minimalist as it gets. The system is always standby, ready for you to connect via Bluetooth or one universal 3.5” analog stereo/mini-Toslink optic input. Dual function input you might be familiar with from Apple's MacBooks. Inside Thunderstone is a set of circuit boards of our own design. Switch-mode power supply, control board with Bluetooth chipset running aptX & AAC audio codecs and a heart that keeps it beating - a powerful D-class integrated amplifier with ultra-low noise levels. Mimicking deep-sea bioluminescent creatures, each bass port also contains an LED light source. 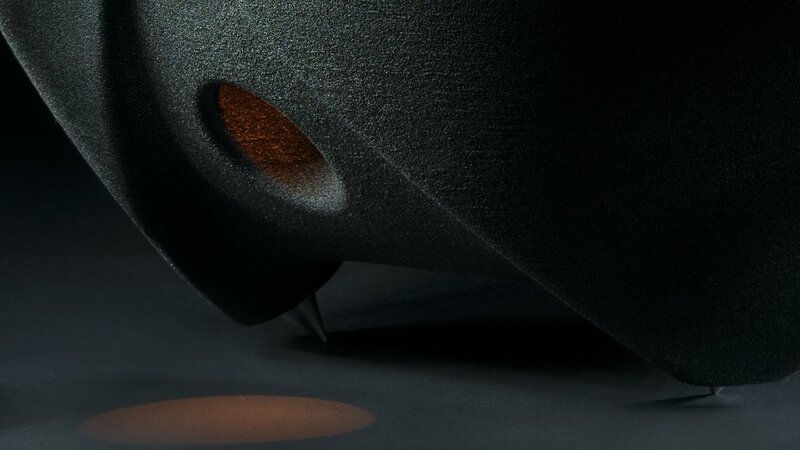 A subtle amber light indicates when the subwoofer is plugged in and gently brightens as the volume increases. Thunderstone is only available as a part of the Ionic Sound System. And cannot be purchased on its own. It comes with a matched pair of Spirula speakers. **Yes, it is the π number x 1000. If you are not into the standard anthracite black finish of Spirula speakers, let us know.